This Thoroughbred has a severe quarter crack. 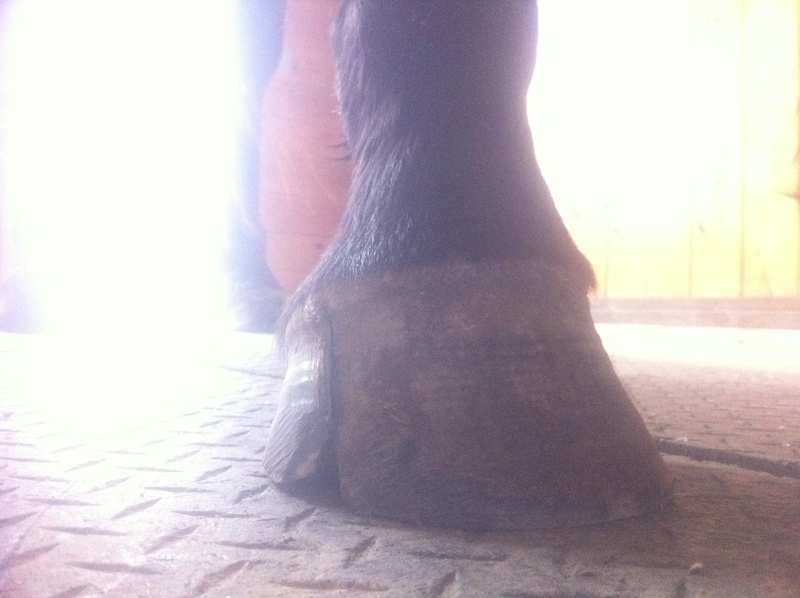 will grow out a hoof with no crack. flexing at the crack to let it grow down correctly. 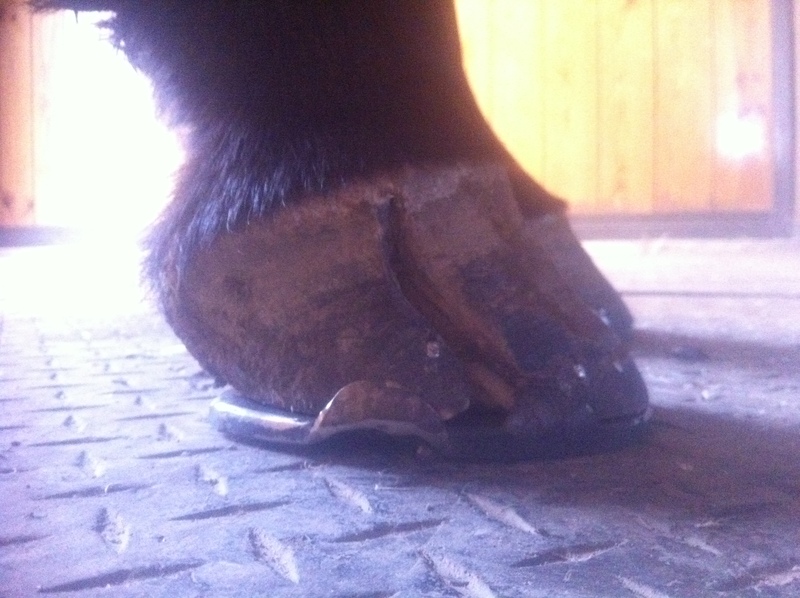 This picture is of the hoof with the shoe applied. heel quarter keeping it from moving.